Being in developement for more than 3 years the final chapter of Strezov Sampling's Next Generation Choir Series is at hand. 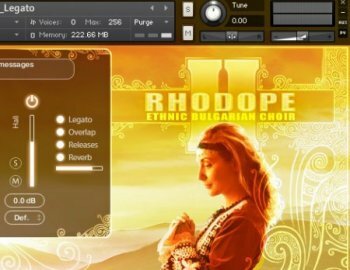 Starting with WOTAN, the lowest and probably most powerful men choir ever sampled, FREYJA the first sampled choir to focus on the beauty of the female voice, and ÁRVA featuring a boys and girls choir, RHODOPE 2 gives you a real authentic ethnic Bulgarian choir at your fingertips! A breathtaking and unique voice timbre sampled the Strezov way for highest playability and expression without any compromises in sound. 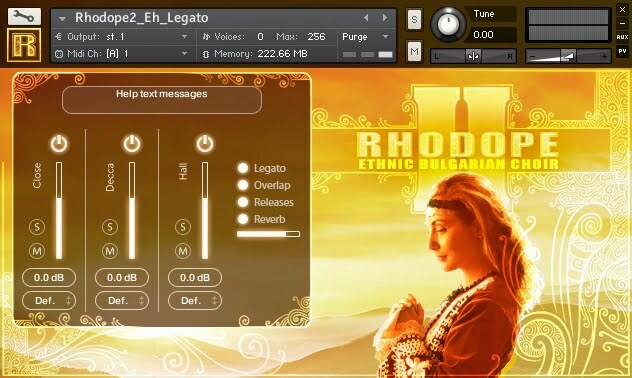 Including the revolutionary Syllabuilder Engine (first introduced with WOTAN), True Polyphonic Legato as well as the brand new Agile Legato, which allows you to play polyphonic legato with every syllable inside the library, RHODOPE 2 benefits from every little secret discovered in a more than 4 years long journey which resulted in the most playable and realistic sounding choir libraries ever made.